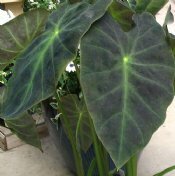 Colocasia, pronounced koll-uh-KAY-zee-uh, plants produce humongous leaves, ranging from 7 to 59 inches long, the largest definitely looking like the elephant ears from which they get their nickname. 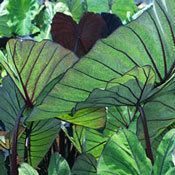 They can be can be grown in the ground or in large containers. 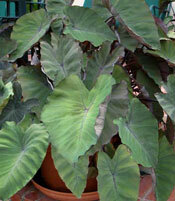 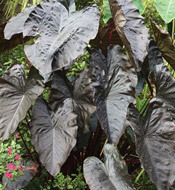 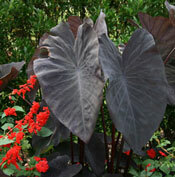 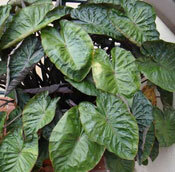 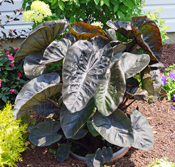 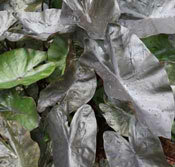 All our Colocasia plants for sale are shipped with very well-established root systems. 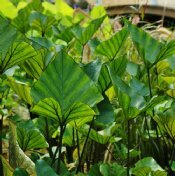 We guarantee them to arrive alive and thriving.